Sticky, crack, wings. It’s those three words that first lured me to embark on my food pilgrimage to Pok Pok in Portland. Ten years ago James Beard winning chef, Andy Ricker, opened Pok Pok; a no frills Thai food shanty in Southeast Portland that has since revolutionized the perception of Thai food in America. 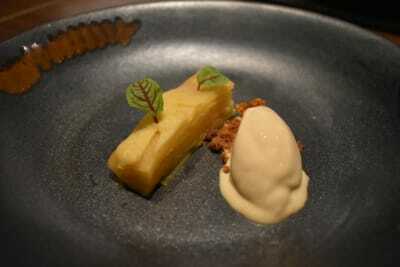 Prior to this glorious introduction, America’s exposure was limited to Central Thai cuisine. Examples of Central cuisine include the classics such as pad thai and coconut milk based curries. 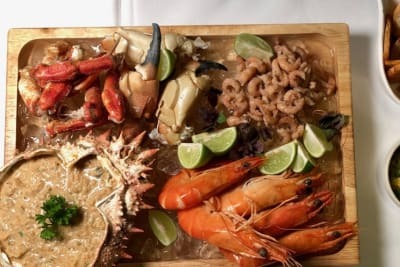 In contrast, Northern Thai cuisine holds deeper, smokier, aromatic flavors while incorporating the art of charcoal grilling and the use of flame as flavour agents. 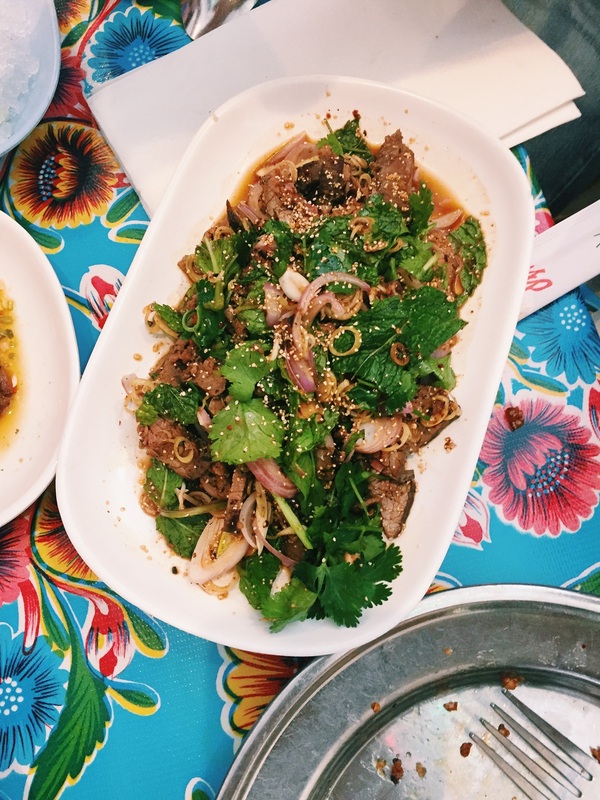 Pok Pok exudes joyful, unpretentious, and authentic vibes. The decor of the restaurant furthers these vibes with its neon Christmas light-lined ceilings and colorful plastic table cloths. 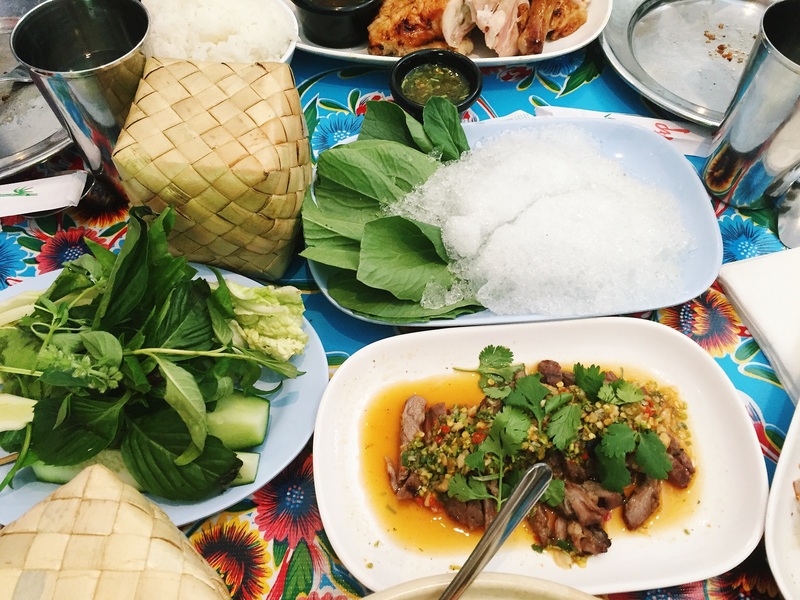 Pok Pok transports you out of the streets of Oregon and into the streets of Thailand. There’s usually around an hour wait for a table during peak times, but it’s well worth it. Pro-tip: for parties of six or more, you are able to nab a reservation by putting in a deposit of $10 - $20 per person via their online reservation system that’s applied to the final bill. 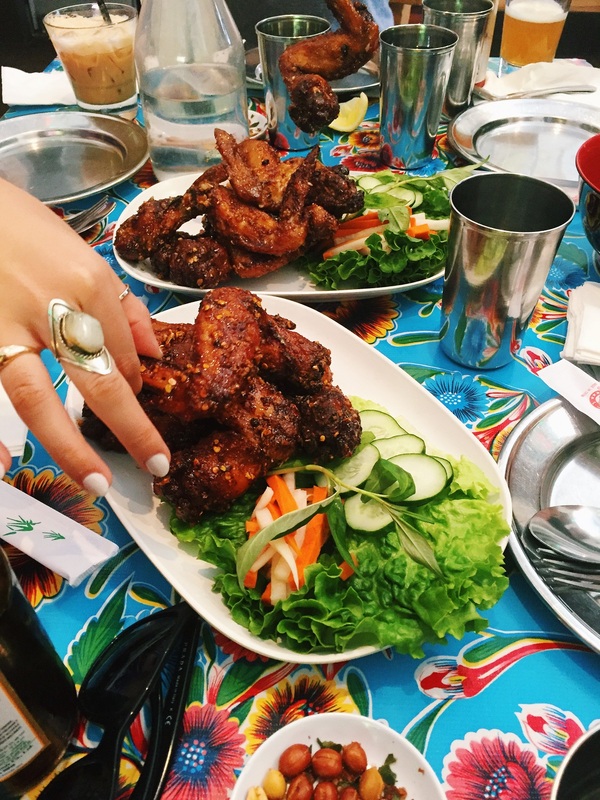 We started with the most ordered dish at Pok Pok, Ike’s sticky chicken wings. Ricker jokes that the wings singlehandedly help him pay the mortgage. These addictive, sticky, crack wings...We started with two orders and couldn’t resist upping it to five. Ike’s wings are double fried and coated in a magic concoction of fish sauce, fried garlic, chili paste, and palm sugar. The wings are cooked perfectly, both sticky and crispy on the outside, and tender and moist on the inside. It’s like setting off a umami flavour bomb in one’s mouth. Then all at once, the main dishes came flying out of the kitchen accompanied with sticky rice in bamboo baskets. Each dish below was unique, authentic, and offered a varying scale of spice and smoke flavor profiles. Muu Paa Kham Waan (USD$15.50): tender marinated boar collar meat grilled over charcoal and served with chilled mustard greens accompanied with a spicy and tangy sauce. The intensity of flavor knocked out my tastebuds in the best possible way. Individuals with a low spice tolerance consider yourself warned, this dish is extremely spicy, complex, and pungent. It’s tantalizing and will have your mouth on fire. Be sure to attack with sticky rice in hand! Neua Naam Tok (USD$15.5): a spicy flank steak dish coated with fish sauce, lime, chili powder dressing, shallots, lemongrass, mint, cilantro and toasted rice powder. Perfect tender slivers of flank steak, packed with good acidity and punch. 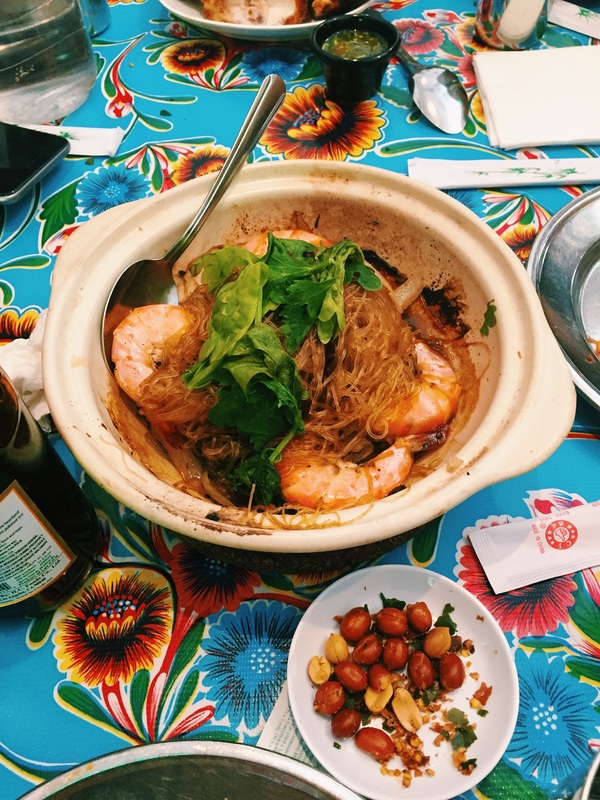 Kung Op Wun Sen (USD$16.50): fresh wild caught gulf prawns baked in a clay pot over charcoal with pork belly and bean thread noodles. The smokiness and fresh gulf prawns take it to a new level. Kai Yaang (USD$14 half bird, USD$24 whole bird): charcoal grilled fresh pasture raised chicken stuffed with lemongrass, garlic, pepper and cilantro served with tangy and tamarind dipping sauces. This was the dish that inspired Ricker to open Pok Pok. The chicken had just the right amount of smokiness, is well marinated and very moist. It pairs perfectly with the sticky rice. 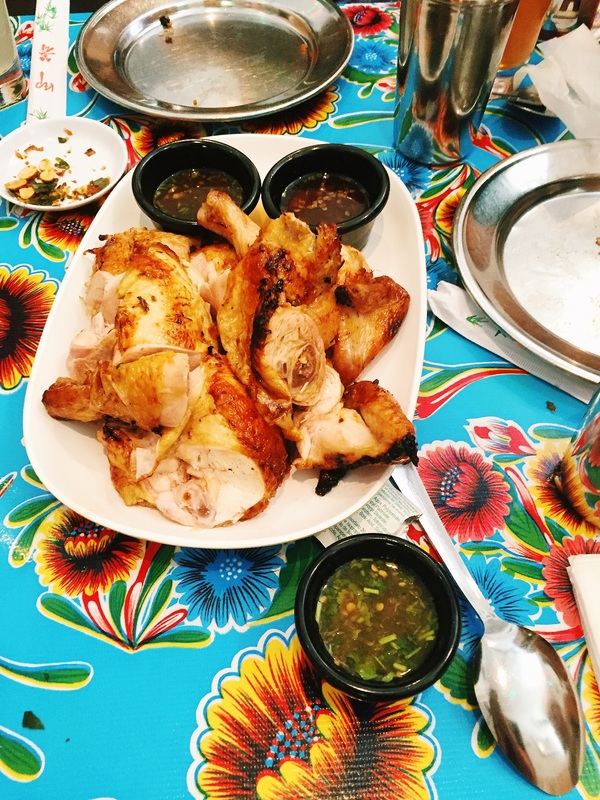 I would rank Pok Pok among the top three Asian restaurants I’ve been to in America. Andy Ricker has created something special in the least ostentatious way. 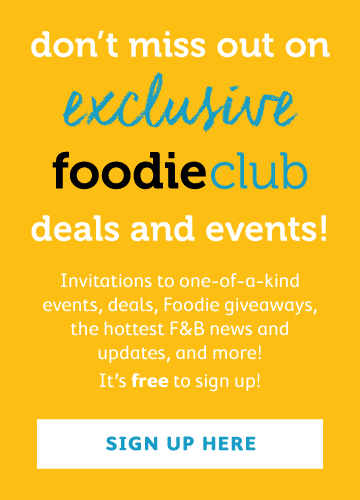 It’s a place that brings people together through sharing food that’s good for the soul. The menu takes diners on an authentic journey through Northern Thailand and off-roads them into the promising and delectable unknown. Plan your trip to Portland, let go, open your senses and trust in the journey.